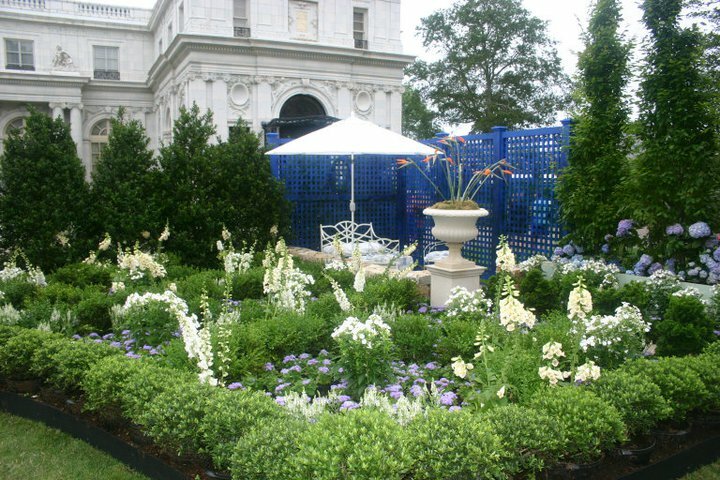 Each year, garden enthusiasts from across New England look forward to a special summer event hosted by the Newport Mansions. 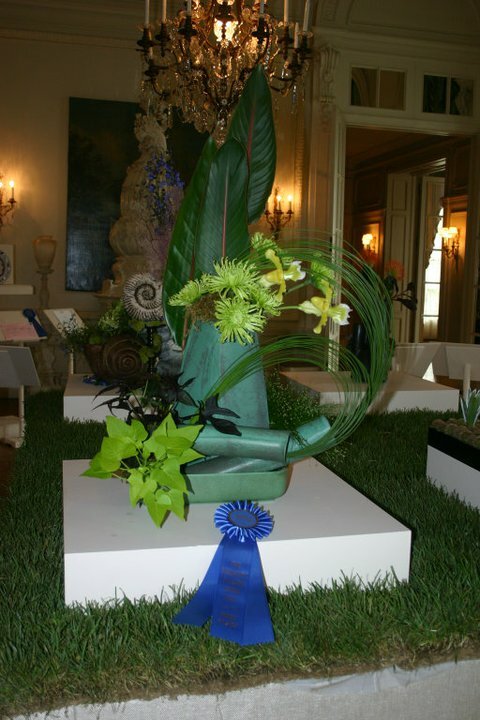 Held at Rosecliff, the Newport Flower Show is a three-day celebration of plants, flowers, gardening and landscaping. Everything from cut flowers to table arrangements to topiaries and full outdoor gardens creates quite a scene to take in. The casual visitor might not be aware, but the show is also a competitive event. 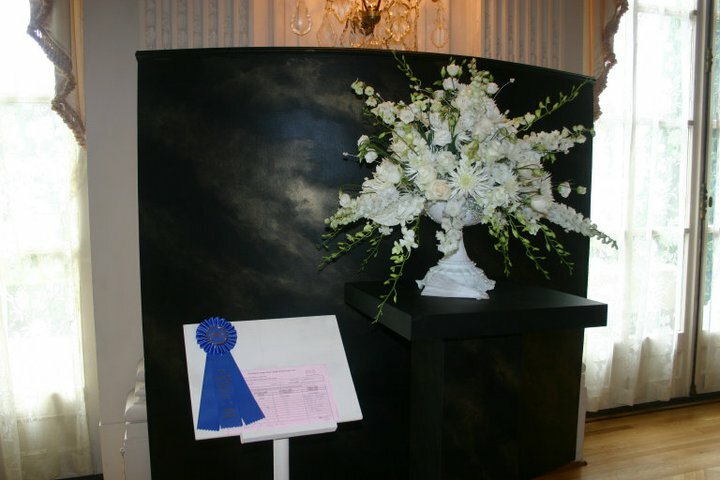 There are many categories with entries striving for the blue ribbon, from the basic cut roses and allium to creative classes for a parasol made of plant material to a design inspired by the Vanderbilt’s Chinese Tea House. Here are a few photos, courtesy of the Rhode Island Nursery and Landscaping Association, which played a big part in setting up the gardens and exhibits. For more photos, there’s another full gallery available at About.com. PS- For those of you needing awards as beautiful as those given out at the Flower Show, the rosettes shown are Ideals and Wheatons with gold rims. 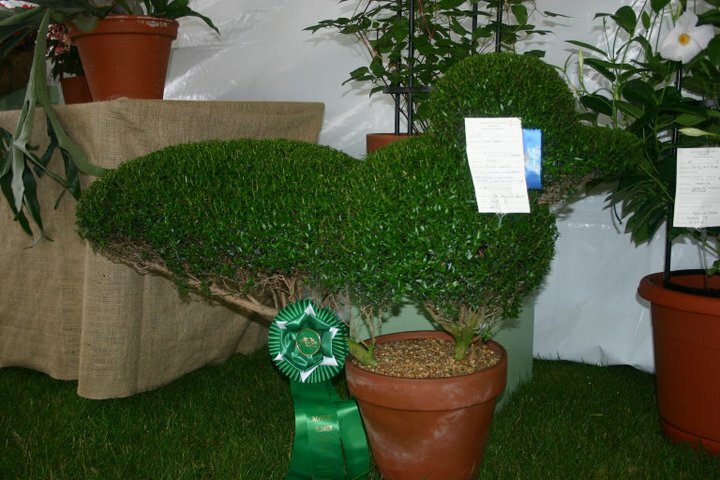 This entry was posted in Hodges Badge Company and tagged gardening awards, horticulture awards, Newport FLower Show. Bookmark the permalink.